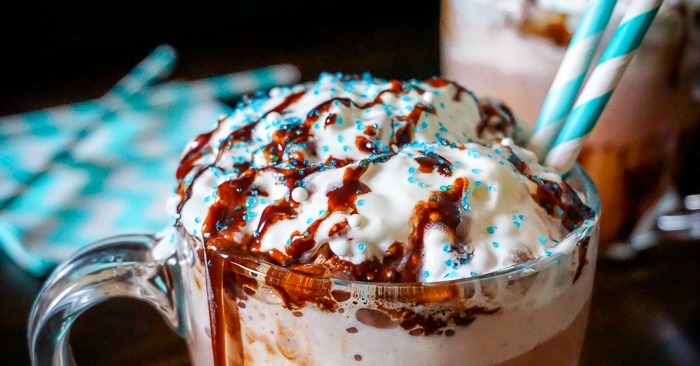 This FROZEN Hot Chocolate is super addicting! I know that it’s been a couple years since Frozen and probably a couple more until we get the sequel, but who doesn’t still LOVE the whole Frozen gang?! Whenever anyone says that people are over Elsa and Anna, I know they haven’t seen the line to see them at Disney World. The first time it snows, I still want to watch it and sing “Do you want to build a snowman?” as loudly as possible. The first day of summer, well … you get it. Let’s be honest – every time I watch it, it’s a Frozen Sing-a-Long. 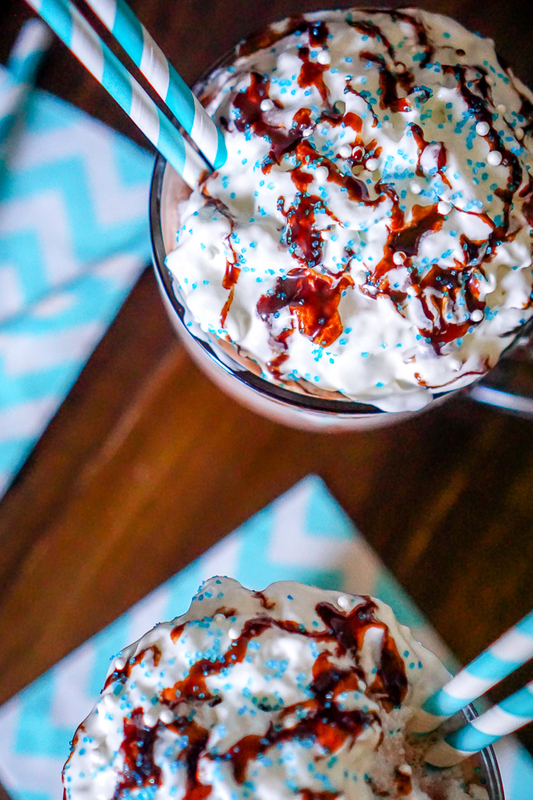 When I decided to join in on some Frozen fun with my blogger friends, I knew immediately that I wanted to make Frozen Hot Chocolate! My favorite local cafe in my hometown serves it up and it is a must order item. If you’ve never had one, think a Wendy’s Frosty but better! And, as always, it is super easy to make. 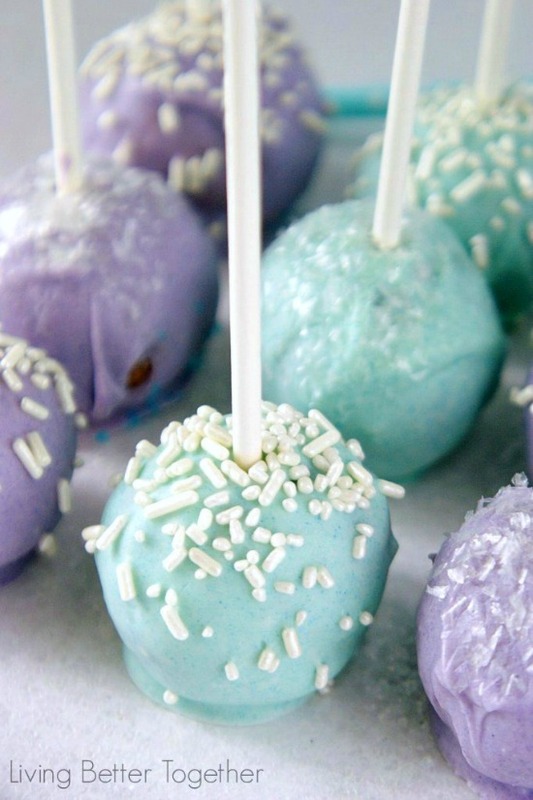 4 ingredients and a blender is all it takes! Add milk, hot chocolate, ice and vanilla to blender. I like to add a little chocolate syrup to the glass before adding Frozen Hot Chocolate. Add desired toppings and enjoy! NOTE: This will serve roughly 3-5 cups depending on size of glass and pour amount. 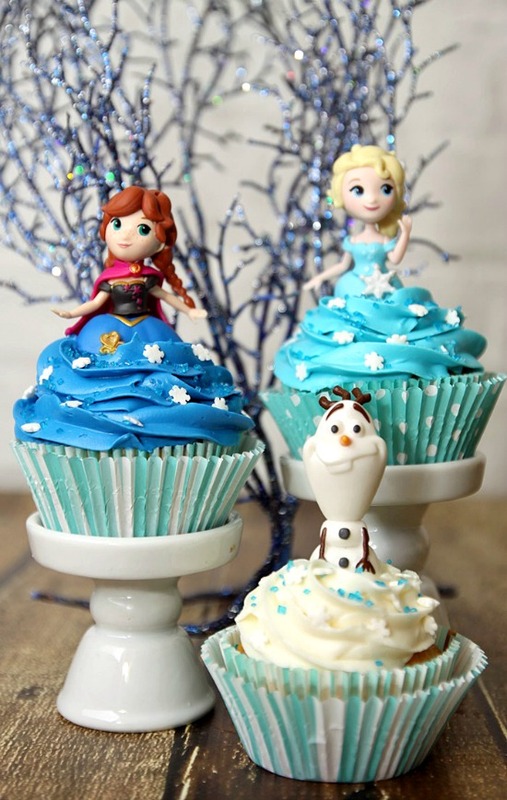 If you like this post, you might also like these Frozen Party Ideas with Free Printables. 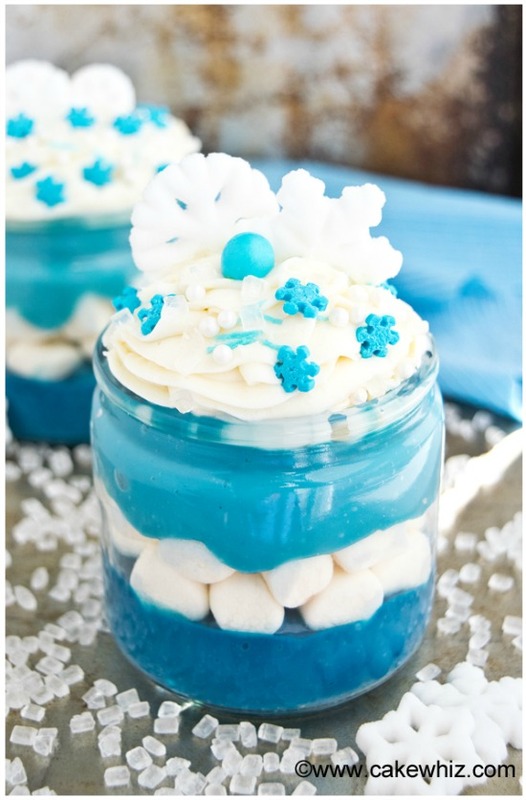 Plus, FROZEN Fever continues with 5 more delicious recipes inspired by Disney’s Frozen! 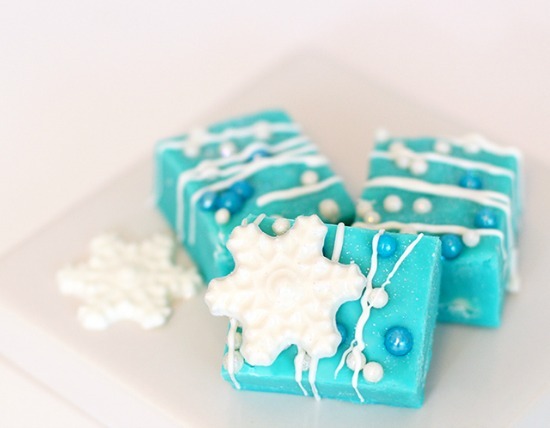 They are perfect for any party or movie watching! YUM!!! 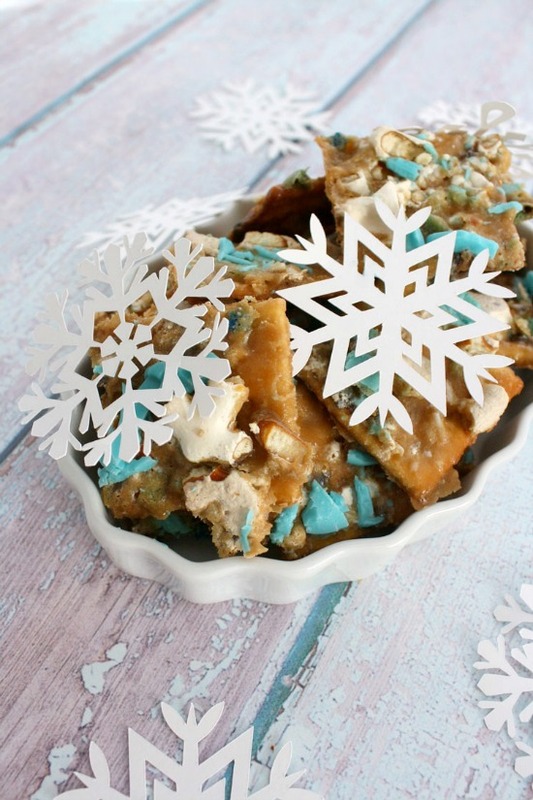 I think I’ll make this this weekend, and maybe watch Frozen at the same time!